Blueberries are good for the eyes they help to improve vision. However, only a few people know the significant advantage of mixing dried blueberries with honey. 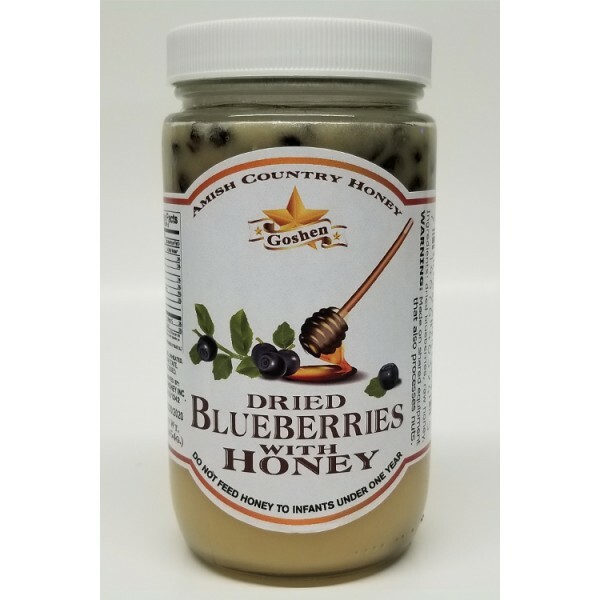 The new combination of Blueberries and honey gives a product which combines the benefits of blueberries and honey. Blueberries can be oven dried, and they are an excellent source of vitamin K, Vitamin C, fiber, manganese as well as other antioxidants. Health benefits of this product include maintenance of skin, hair, and nail; renewal of cellular bodies, lowering of blood glucose because it contains the biologically active substance niomirtilin, and improvement of coordination and helps to fight anemia due to its iron content.